A person who will forever remain special in your life is the one who ushered you into this world – your mother. Even though the child may not be aware of it at all, the first word that it learns when it starts to speak is ‘ma’, or mother. The mother is indeed its alpha who will always be there for her child till the omega. She is truly a precious gift bestowed magnanimously upon us by god and words fail us when we marvel at our good fortune to have her around with us. She is the one who takes full onus of leaving no stone unturned in shouldering the responsibility of bringing up her children with absolute selflessness while showering them with unconditional love and care for as long as she is alive. 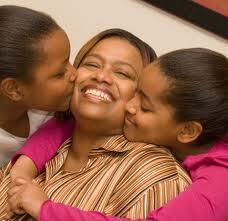 To ensure that her kids get no less than the best in their lives, a mother strives day in and day out to that end. In your childhood, she stands ahead of you and sets an example. As you grow up and become a teenager, she stands behind you to lend you help whenever you need it. When you become a mature adult, she begins to walk beside you so that you can be each other’s best friends. At every stage in your life you can find this protective figure standing tall around you. For the immeasurable love and care that they shower upon us, we shall always be full of gratitude towards them. Though we may try hard to pay them back, it is nearly impossible for us to do that. We may love them, get angry at them, dismiss them, rebuke them or even stop talking to them, but their love remains undiminished. On the contrary, their love for us only gets reinforced with every passing day. We fail to recognize this owing to our busy lifestyles and huge responsibilities that leave us with little time for ourselves, let alone time to think of our supportive mothers and thank them. It precisely so that the efforts of mothers do not go unacknowledged that an occasion like mother’s day serves as a golden opportunity to express our immense love and gratitude for them. A precious treasure that will forever remain priceless is someone most of us tend to take for granted. The treasure being alluded to is your mother, who forges a unique bond with her baby that very few can understand and appreciate. Right through childhood and adulthood, a mother nurtures you and moulds you – just like a potter moulds his pots. You may have experienced the good times and the bad times in each stage of your life, but your mother is sure to be by your side, clasping your hand and taking you out of your troubles. Her love for you only amplifies exponentially and no matter what happens, she will never make you feel miserable. Her very presence is enough to elevate your sulking mood. Even though you may complain that your mom is irritating, nagging, exacting, annoying and judgmental who gets your goat and makes you fly off the handle, you can be certain of one thing. You are bound to sorely miss your mother especially when either you or she is away from home. It is only when you miss her most that you realize the significance of your mother and the warmth of her comforting presence. However, we often tend to take their presence and support for granted. We ought to remember that we owe a lot to moms, who have stood by us through thick and thin and never complained to others about us.